It was gracious of the Prime Minister to call personally in the midst of his numerous responsibilities expressing his condolences to myself and our community. I felt that this was both a personal and powerful gesture, demonstrating his concern and sadness at the senseless loss felt by families and communities in Egypt. 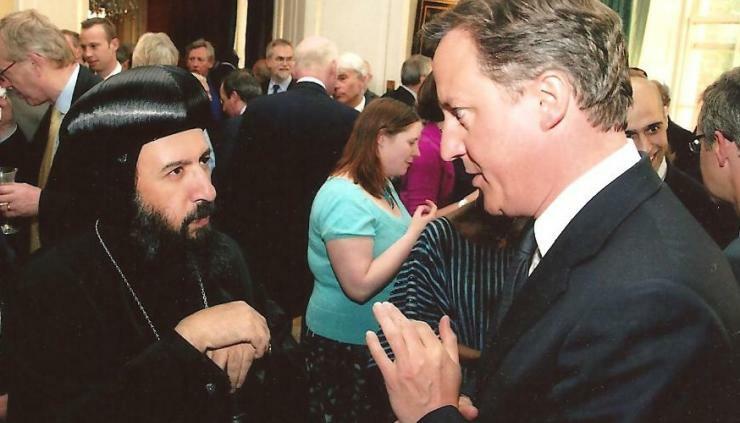 As discussed with the Prime Minister, I will be passing these sentiments to His Holiness Pope Tawadros II, our Holy Synod and the Coptic Orthodox community here in Britain. This entry was posted in Featured News, News and tagged Bishop Angaelos, Coptic Christians, Libya, Prime Minister, Prime Minister David Cameron by Orthodoxy Cognate PAGE. Bookmark the permalink.